Many entrepreneurs have sought their fortunes through adventures of exploration. Mesopotamian entrepreneurs prospered by expanding their landlocked trade routes east to the Indus Valley (modern-day India) and west to Egypt. Several hundred years later, Phoenician entrepreneurs did so on the open seas, leveraging their superior nautical skill to establish profitable new trade relationships with previously unknown parts of the world. The same principle applies to the legions of successful Arab traders in the Middle Ages who made their fortunes from an extensive landlocked and maritime trade. In recent years, another unabashedly entrepreneurial project has been transforming entrepreneurial exploration: space. In 1994, the American Society of Civil Engineers convened with businesspeople in Albuquerque, New Mexico, to discuss the technical and financial feasibility of space tourism, then still a hypothetical concept. Although the technical hurdles were believed to be significant, the attendees concluded that none of them were insurmountable. What worried them more was where the money would come from for the research and development efforts that would be required to make space travel both comfortable and affordable. Since then, by funding those efforts that make ongoing improvements in rocketry and other technologies possible, entrepreneur’s like Richard Branson, Jeff Bezos, and Elon Musk have helped fill a vacuum left by the wavering public sector commitment to space exploration. Certainly, the U.S. government’s recent disengagement from its space program has yielded tremendous entrepreneurial opportunities for the pioneers of the space tourism industry. Just like the exploration of the “New World” hundreds of years ago, the current exploration and planned colonization of space is being spearheaded by entrepreneurs. 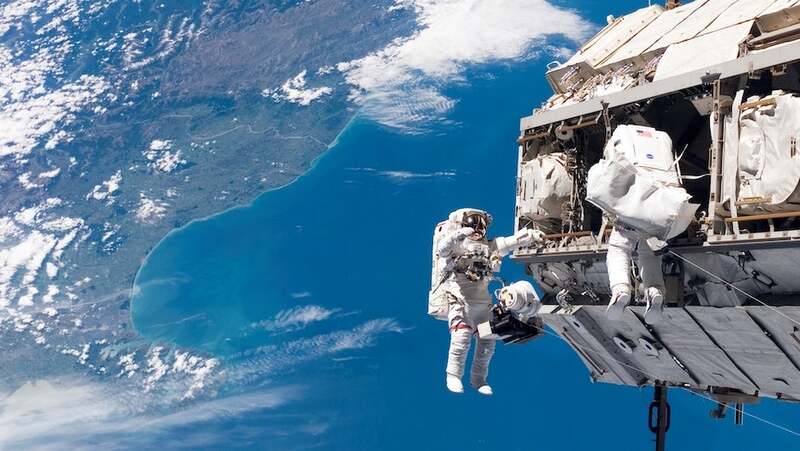 In 2001, in conjunction with the Russian Space Agency, American entrepreneurs Peter Diamindis, Eric C. Anderson, and Mike McDowell charged a wealthy Californian $20 million for eight days of space orbit. The early 2000’s was also when the likes of legendary serial entrepreneurs Musk, Branson, and Bezos founded their own space tourism companies. In 2000, Amazon founder Jeff Bezos established Blue Origin. Named after Alan B. Shepard, America’s first astronaut, Blue Origin’s spacecraft is known as the New Shepard. The vehicle has tested successfully but additional improvements are slated to follow along with an online spaceflight reservation system. Since its founding in 2002, Musk’s SpaceX (Space Exploration Technologies) has been at the forefront in the conceptualization and manufacture of efficient space rockets. In 2008, the company’s first rocket, Falcon 1, reached orbit successfully and, since its founding, SpaceX has had ten successful flights of its space vehicles to the International Space Station and continues to make pioneering advances in rocketry. In 2004, the man behind Virgin Records and Virgin Atlantic (airline), Richard Branson, established Virgin Galactic to become “The World’s First Commercial Spaceline.” Since then, he has completed development of Spaceport America in New Mexico and has made significant advances with his SpaceShip Two vehicles. “I think I’d be very disappointed if we’re not into space with a test flight by the end of the year,” Branson told the UK’s Daily Telegraph in April of 2017. The enormous progress made over the past decade and a half in space exploration owes a lot to the spirit and drive of entrepreneurs. This impact extends well beyond the realm of profit seeking and has proven to be crucial to the advancement of mankind. And it’s no surprise that like thousands of years ago in Mesopotamia, entrepreneurs are once again are seeking success through adventures of exploration. Joe Carlen is the co-founder of Value Guards and a practitioner of business valuation, patent valuation, and market assessment. He is the author of A Brief History of Entrepreneurship: The Pioneers, Profiteers, and Racketeers Who Shaped Our World.